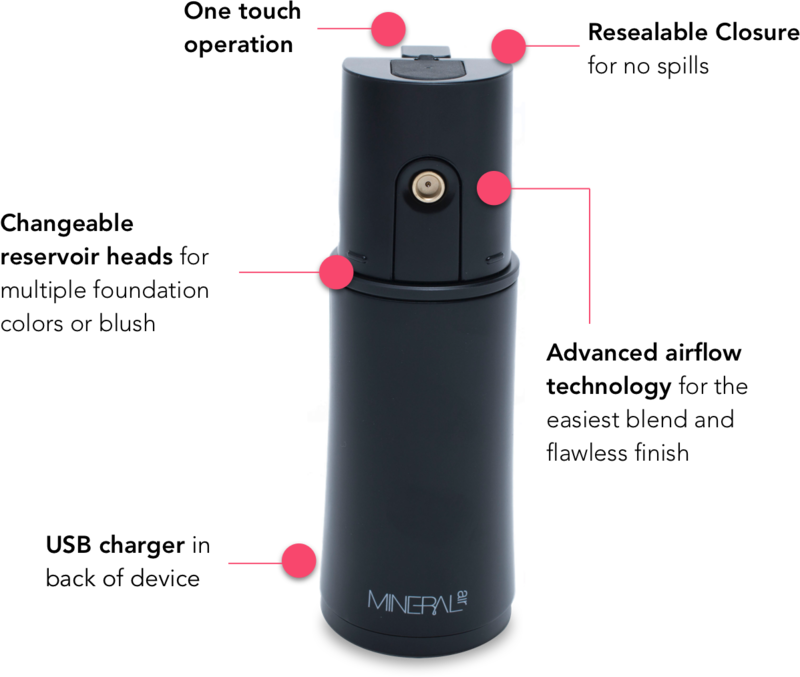 Mineral Air is a cordless, portable airbrush kit that provides coverage without needing primer, concealer, foundation or serum. The kit includes; the airbrush machine, a charging cord and I've also got my hands on two different foundation shades as well as a blush! The first step in kick starting the application is to add a few drops of your chosen foundation shade into the top of the machine. This area is protected by a spill proof cover which avoids the foundation liquid going every where especially when travelling with the machine. Once the machine is packed with the foundation, I gave it a little shake and press the button at the top. Unlike many other airbrush foundations I was so impressed at how gently the foundation is released from the small spray nozzle. Instead of the quick, heavy release of foundation i was expecting I was amazed at how lightly the product came out. This is one thing that instantly had me sold, as I found that the direction of the make up was so easy to control and made it easy to add coverage in specific areas. 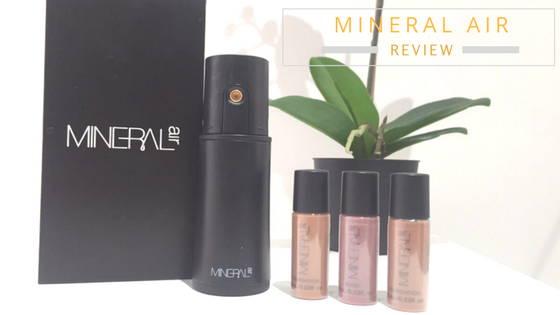 I think the thing that put me off air brush foundations previously is the fact that it looked like an unnecessarily messy, long winded and complicated procedure but Mineral Air is hands down easier to apply than my usual liquid - beauty blender method. I had my first layer applied within literally a few seconds and with no drying time or need to let the foundation sit - I was in with another layer straight after! 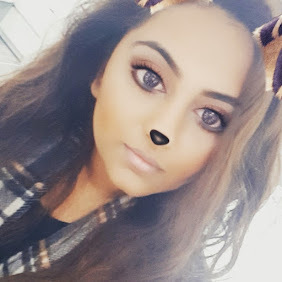 So I'll be honest, I am obsessed with high coverage foundations and am a bit of a "all or nothing" kind of girl when it comes to my make up so at first it was difficult for me to see coverage when I first applied the airbrush foundation. The first layer gave my skin a glow and honestly gave me the "my skin but better" kind of look that is perfect for everyday wear. But me being me I had to go in with another layer to see whether this foundation could actually replace my high coverage foundation and I was so impressed at how easy it was to build on the base and get my desired look.Whilst it didn't cover every single blemish on my face - within around 30 seconds I was given coverage which is close to so many other liquid foundations I use. 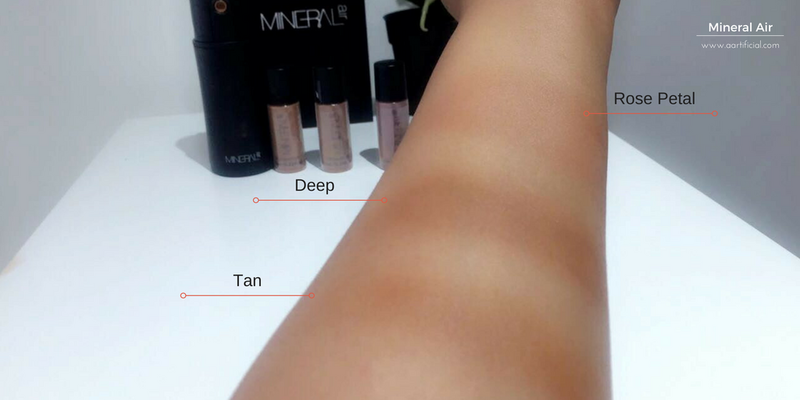 Unlike other foundations - I feel Mineral Air will never begin to look cakey or heavy due to how the foundation naturally blends into the skin but when applying more layers I did have the problem of the foundation beginning to look to dark and the shade was intensified. 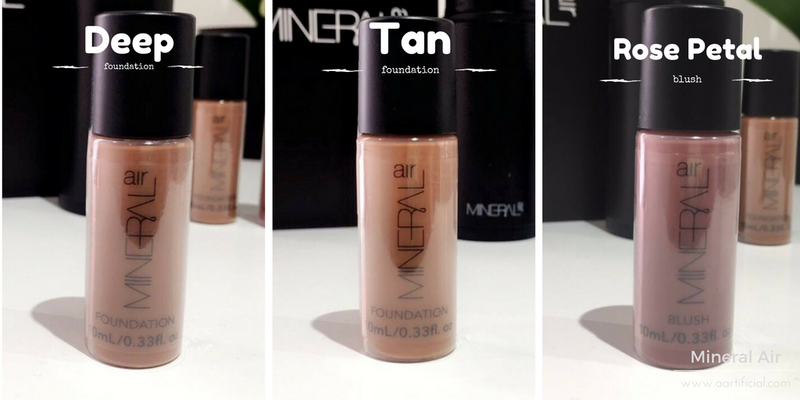 The bonus facts about the Mineral Air foundation is that the fact that no blending or brushes is required in the application makes it super hygienic and you'd never have to worry about any wastage. You literally have to use the tiniest amount of foundation drops to get multiple uses and after using it a good 3/4 times a week I've only had to top up the drops about 3 times within the space of a month. For the foundation, I've loved the finish and look the Mineral air has given me but I'm not so sold on the blush. This may be because I'm more of a bronzer lover and pinky blushes have never been my thing but I found the blush didn't apply as well as the foundation did. Also, my kit came with only one head which meant changing the liquid proved difficult as the foundation and blush blended together. The Mineral Air comes with different heads which you can buy to avoid this from happening but for me this seemed like an unnecessary additional expense and not worth £39.95.. Overall, my first experience with an airbrush foundation has been positive and makes me understand why this has been such a raved about product within the industry. With the hefty price tag of £139.95 this isn't a cheap alternative to your usual liquid foundation but for you make up junkies out there I would recommend this to anyone who wants a natural, easy to apply foundation that won't irritate your skin. It's perfect for travelling and for holidays as you the finish won't block your pores or look cakey.